I like World Map model. Can send to me ? hmm...so...is this still a thing? Seconded. This mod had so much potential with the breathing animations and all, but it wasn't in perfect playable condition yet. What thas happened??? I don't know if this is the same mod as the one on 7th heaven which is called 'animations' but I would like to report a bug on this mod. Cids running animation isn’t' fixed when you play as him for a while. when Barret and Tifa are captured by rufus, seems that that odd 'feet forward, back behind' stance is there. I guess I maintain the animations until Bloodshot is back. Cid has no new running animation. So what is buggy with it? Can you make a pic of this 'feet forward, back behind' stance? ( tap the window key and make a snapshot of the desktop or else you only get a black image). Probably referring to Cid's comedy run animation where he's angled back waving his arms like a madman, which is working as intended. yeah cids running is his default running, I thought all the characters got their default running fixed,but it seems cids was left alone, his original running animation is slightly different to clouds. 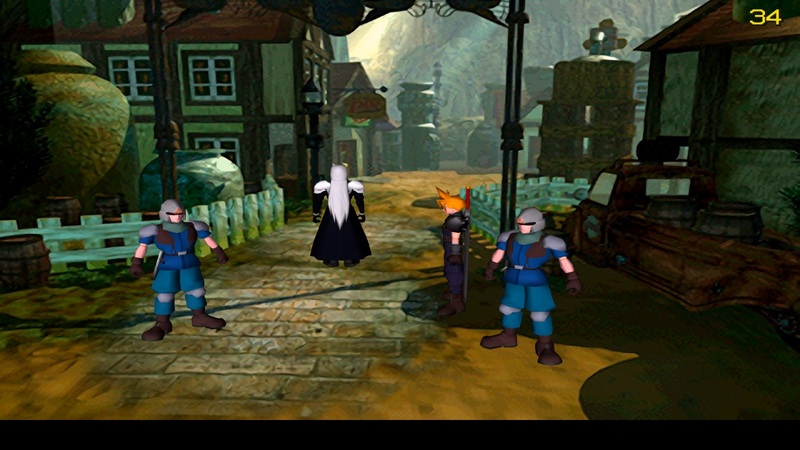 well the standard running in FF7 looked bad for everyone, whese your chest is forward etc, cids was just as bad but it was the opposite, chest is backwards, I think if this mod fixed almost everyones running stance to be more normal, it would make sense to fix cids running stance as well, you do play as him for a short while in the game. I will try and find a picture of the barrette, one on a YouTube playthrough, its just when you move about with him for about one minute in the game, you are in handcuffs, the sister ray is about to be fired. its a different animation all together, but it looks just as silly as the default running animation, I just thought maybe that could get updated as well. Would you know how to add new animations into the game? Can you just script one in? Any idea why enabling the 60fps battles causes stuttering on my setup? I'm using 7th heaven mod manager...everything works great except the 60fps battles...it actually runs crappier with that enabled than without. I'm running an NVidia GTX 760; should be more than enough to handle it. I made a new skeleton for Sephiroth to have his coat separated from his leg. While I could post it on my threat, I think it fits her much more, because the new skeleton involves a recreation of his animations. 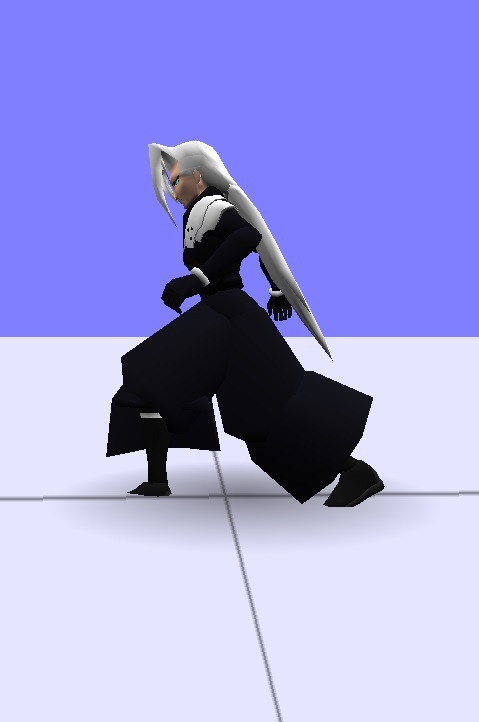 This is Sephiroth most ridicules walk animation (looks like his armpits are burning). I try to make it fewer ridicules, but give his walk a kind of straight movement. At the moment I only have made one frame. 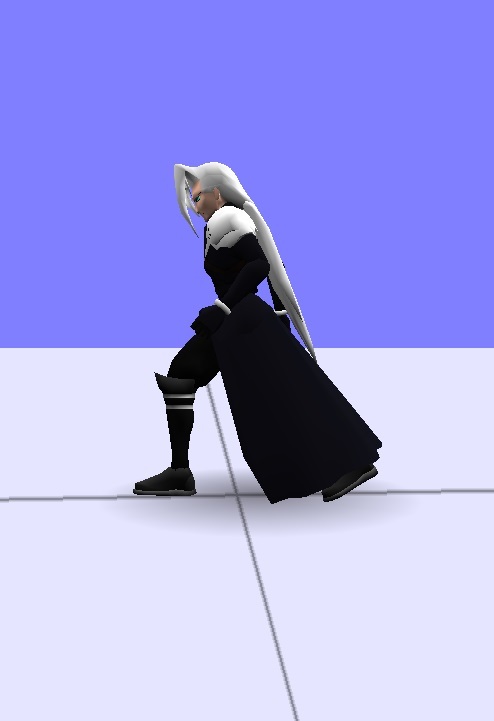 This will fix also the problem of the wrong high placement, which on the other hand will make it more obvious for the other models (since Sephiroth seems to stand on a higher level). As far as I have looked there are 52 animations for him so this will take a while to finish it. 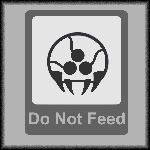 Though, recreating animations aren't that complicated (once you can deal with kimera rotation logic ). Most times all it needs, is to copy the bones rotations of the current frame from one Kimera instance to another. I better will document the process and create with that a tuto for new animations. Maybe someone would like to help with creating new animations. WTF! Something has corrupted my char.lgp, that's why I got the crashes. So the good news are that the model is pretty fine in game.